Relief from pain is one of the most common requests from patients seeking medical care, yet a large number of causes of pain are difficult-to-treat pain syndromes. Fibromyalgia, lower back pain, diabetic neuropathy, complex regional pain syndrome, adhesive capsulitis, and oncology-related syndromes are just a handful of conditions that render the patient in pain, and at worst, incapacitated. Developing strategies to treat and deal with debilitating pain is the major occupation of many health care professionals, and a multimodal approach of medication and therapy is often adopted. Yet in the case of severe pain, how true is the old adage about prevention being better than a cure? For many patients suffering from pain, there is no relief in these sentiments. For many modern conditions, the cause hasn’t been precisely pinned down, making prevention a difficult science. Just like fibromyalgia, frozen shoulder syndrome isn’t well understood by the medical community. (n.) Inflammation between the joint capsule and the peripheral articular shoulder cartilage that causes pain whether in motion or at rest. 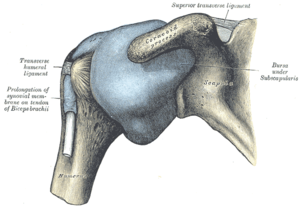 Also called adhesive capsulitis. While the condition, like fibromyalgia, involves chronic pain that lasts anywhere from five months to three years, the symptoms are localised and shoulder pain and general immobility in the shoulder region characterise the ailment. In the absence of a general concurrence as to frozen shoulder treatment, many patients are unable to work or conduct a normal living, and in addition, it’s common for patients to also suffer from sleep deprivation, as the condition tends to become aggravated at night or in periods of colder weather. To assess any sort of pain to determine the level of patient care required (in terms of functionability, self-care, medication, sleep, depression, and exercise), guides like the Brief Pain Inventory, the McGill Pain Questionnaire, or the Brief Pain Impact Questionnaire are effective means of verbalising the experience of pain.